Spending a holiday in the province of Trapani offers many opportunities to get in touch with landscapes surrounded by nature. 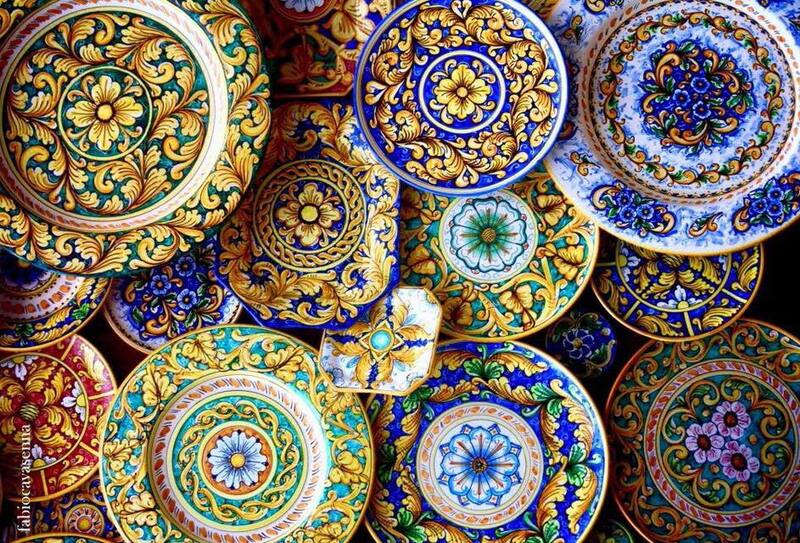 There is no lack of opportunities to visit ancient villages and enjoy food and wine delicacies. 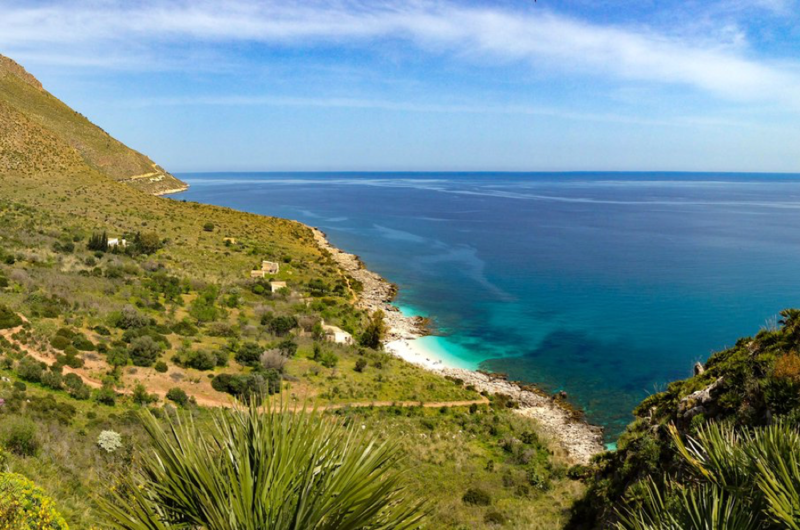 Here we go from Zingaro national park to Erice: what to see along the Trapani coast. 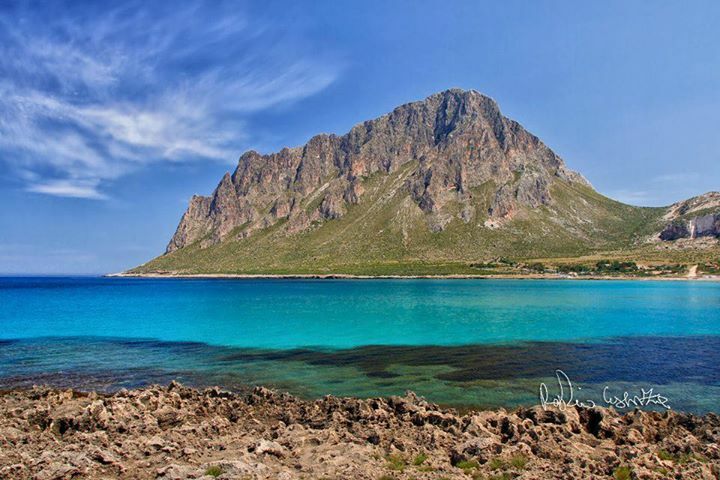 Between Castellammare del Golfo and San Vito Lo Capo there are a succession of sun kissed solitary coves with crystal clear water and sandy beaches which are nestled between strips of indented coast covered with lush vegetation. Here you will find the Zingaro nature reserve, one of the most famous national park jewels of Italy. It is about 1,700 hectares between land and sea, inaccessible to cars and famous for its pristine landscape, strong colour contrasts and the mirrored surface of the sea. Established in 1981, the reserve was strongly fought for by environmentalists and the local population who lobbied fiercely against the construction of yet another coastal road that would invade this treasure of sea and land by allowing access to cars. From the San Vito Lo Capo approach there is a remaining piece of asphalt road from the 70s to remind us of the failed project. The road welcomes the visitor to the entrance of the park and is then transformed in to wild mule tracks that pass through almond groves, carob, olive and ash trees, brooms, euphorbias, lemons and thickets of dwarf palms. The dwarf palm tree, despite its name, grows to three meters in height and is one of the symbols of the reserve due to the fact that in the past its leaves were widely used by the communities that lived in this rural area for the construction of bags, baskets, hats, mats and more. Along the way you can visit several museums that reveal the ancient bond between man and earth and testify to the pastoral soul of the nature reserve, underlining the importance of agricultural and maritime activities for the local economy. Testimony to this are the naturalistic museum of manna, the museum of marine activity, the museum of rural culture and the centre for environmental education. Testimony to this are the naturalistic museum of manna, the museum of marine activity, the museum of rural culture and the centre for environmental education. Another treasure guarded by the reserve is the orchid which in spring lines the paths and fascinates visitors with its bright colours. Each of the many coves invites a stop, but in order to cover the entire 6.2 km path that leads from Scopello to San Vito Lo Capo, you must allow at least two hours and a quarter without considering the breaks. 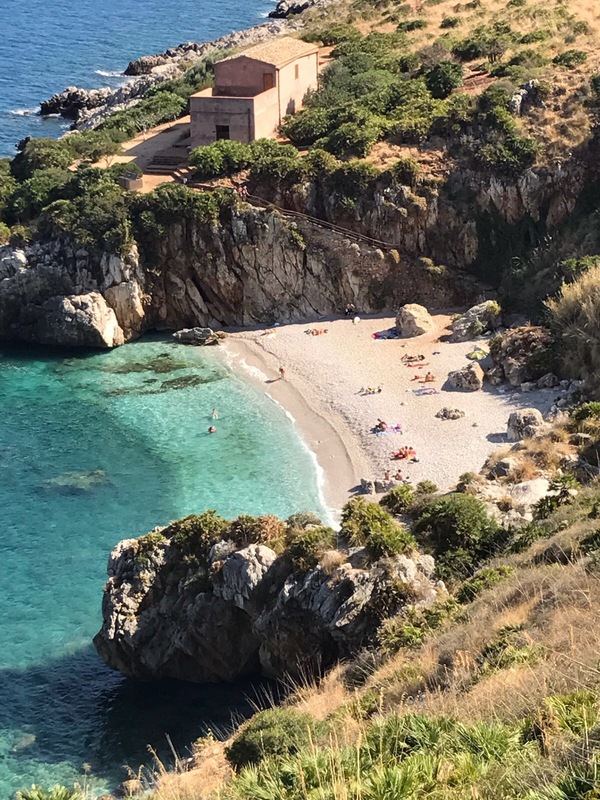 Cala Capreria, the first beach you come across from Scopello, is as beautiful as any other, but in summer it is one of the busiest. The next beach reachable only by boat is Cala del Varo followed by Cala della Disa which is the largest beach in the Park. Its name derives from the vegetation that characterizes it, mainly consisting of ampelodesma which in Sicilian is ddisa. Further afield are Cala Beretta and Cala Marinella two of the less frequented beaches of the entire coastline due to their distance from the reserves two entrances. Two further beaches are accessable from the San Vito entrance: the beautiful Cala Torre Uzzo and Cala Tonnarella dell’Uzzo. 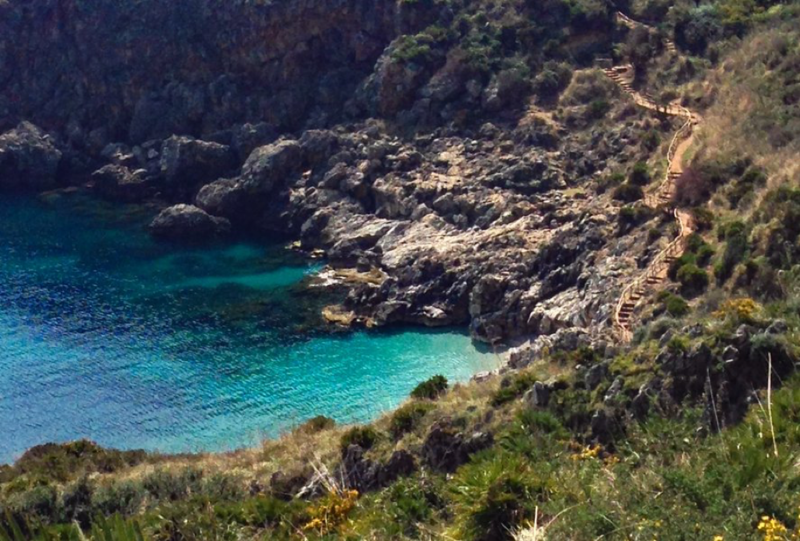 The best time to visit the Zingaro is late spring or early autumn when, in addition to being less hot, you can enjoy absolute tranquillity both in the coves and along the path. Remember to carry plenty of water and wear comfortable shoes before attempting the walk. 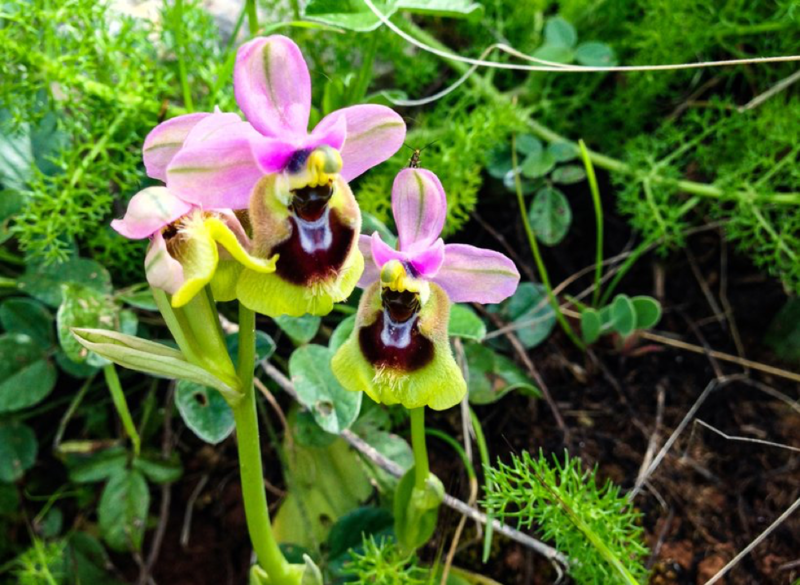 Another treasure guarded by the reserve is the orchid that in the spring propped the paths and that fascinates visitors for its bright colors. 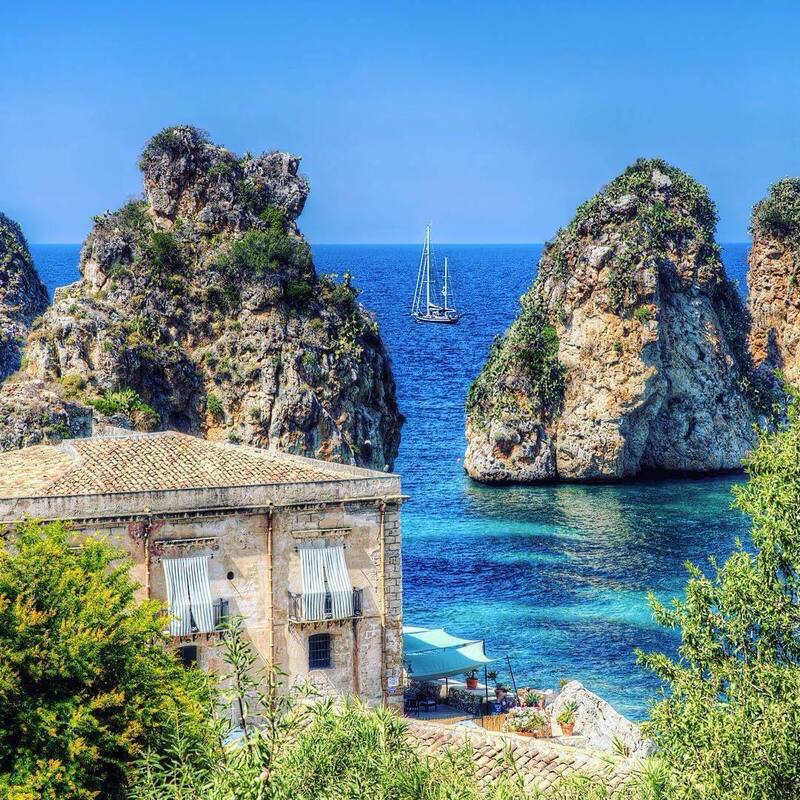 Just two kilometers from the southern entrance of the reserve is the delightful fishing village of Scopello, a picturesque village famous for its seventeenth-century baglio, the ancient tonnara and its wonderful Faraglioni. 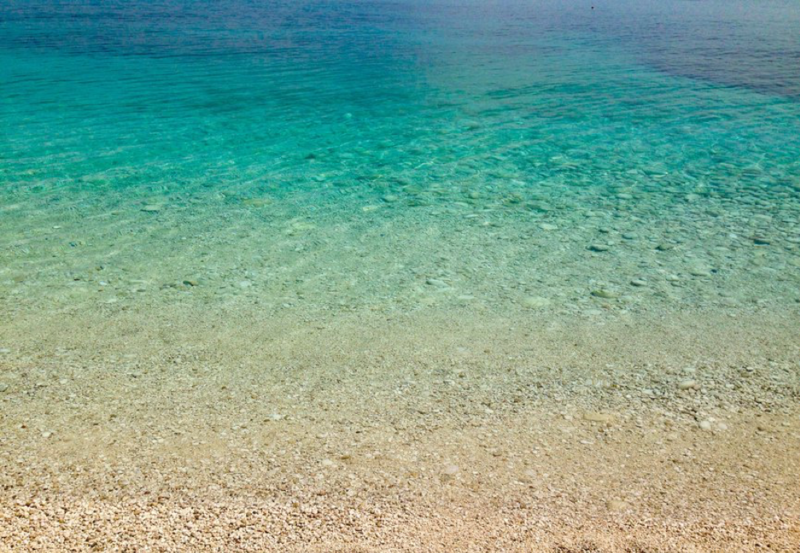 The Faraglioni, protagonists of numerous much publicised photographs, gave the name to the village which, after having long been called Cetaria for the abundance of tuna, was then christened Skopelos, i.e. rocks. Scopello, after having long been called Cetaria for the abundance of tuna, was then christened Skopelos, i.e. rocks. 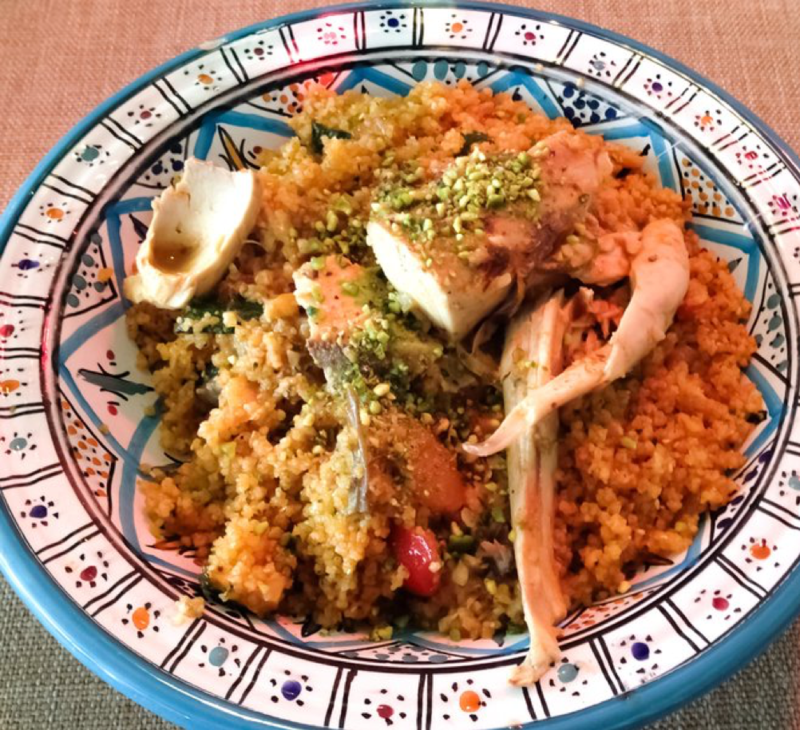 How can you resist a dish of fish cous-cous in nearby San Vito Lo Capo or a walk along the main street of one of the most lively and best known Sicilian villages in the world. The beach, moreover, was counted in 2016 among the most beautiful beaches in Italy for its unpolluted sea, the surrounding landscape and its many services. Another jewel on the Trapani coast for a swim or a stroll is the unmissable bay of Cornino at the foot of Monte Cofano. The beach amazes the visitor above all for its tranquility and for the wonderful vista of the Monte Cofano promontory which, with its steep paths and uncontaminated nature, is a true paradise for lovers of trekking and mountain bike. Behind Monte Cofano sits the small medieval village of Custonaci, famous for its precious marble which is exported internationally. It also boasts the most famous living nativity scene in all of Sicily. 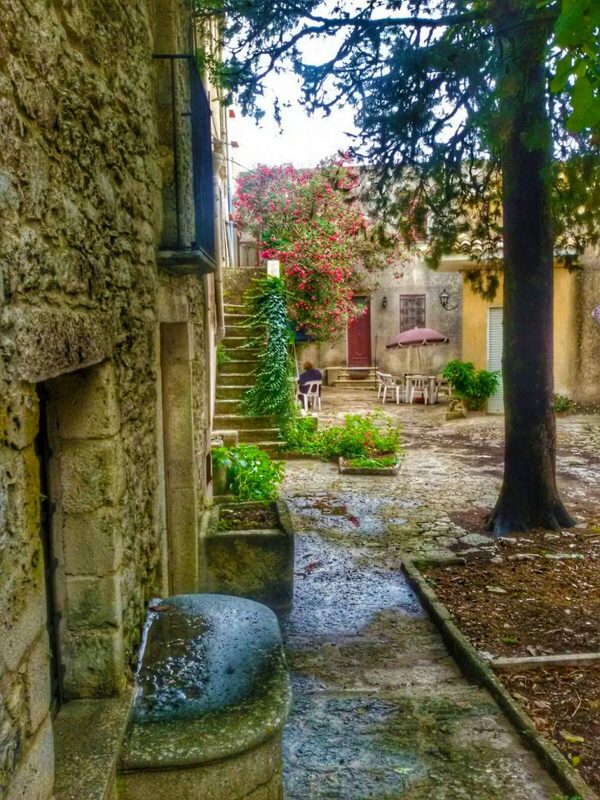 Custonaci also has a historic centre to discover made up of narrow alley ways and small houses which are embraced by the rock and where time seems to have stopped. A visit to these areas can not but include the small town of Erice. With a sweatshirt, comfortable shoes and without being discouraged by a bit of fog that often surprises visitors even in summer, the ancient Phoenician and Greek city shows its thousand faces from the height of its 751 meters of altitude. Spending an afternoon among its cobbled alleys – to taste the delicacies of the territory in confectioner’s shops, admiring the handcrafted products and taking photos of the many panoramic spots – has the flavor of a little escape from reality and is an excellent antidote to city stress.